4. Dispassionate presentation is not honest, be sure to incarnate it. Some are committed to being as dispassionate as possible in presentation. “If I let my own heart response show, then I might distract listeners from the information in the text.” The text is therefore offered at arms length, and typically received as such. It should make us stop and wonder why we see no support for dispassionate preaching in the biblical record. Some preaching is more like 1980’s washing powder advertising than biblical preaching. 5. When we add “affect” to the text, we are in danger of manipulation or emotionalism. Why do we assume the text is dull and that our job is to add a stirring or rousing challenge? Why do we think the text is dull, but we can add windows to the building by fascinating little illustrations? I’m not against effective challenge, nor helpful “illustration”, but I am bothered by the assumption that the Bible is sterile and flat. If we would reflect the affect of the text better, perhaps we’d see more listeners genuinely stirred by it. When we simply add our own impact, we shouldn’t be surprised when people seem superficially stirred, or uncomfortably annoyed. 6. When we remove “affect” from the text, we are in danger of dulling hearts. Some preachers don’t preach to the heart. They take a vibrant and living Word and turn it into dull lecture material for the heads of their listeners. Do we really want churches full of well-informed heads with dulled, or hardened, hearts? If our theology and view of ministry leads us in that direction, please let’s respond to the warning flag and evaluate where we might have gone slightly off target. Or to put it another way, if you think preaching is simply about informing people in a dull manner, please stop preaching for the sake of your listeners. Take a sabbatical and prayerfully chase God’s heart on the issue through the Bible. Preaching to the heart matters, because the heart matters. And preaching to the heart is not primarily an issue of application or challenge, it is at the very centre of our explanation. 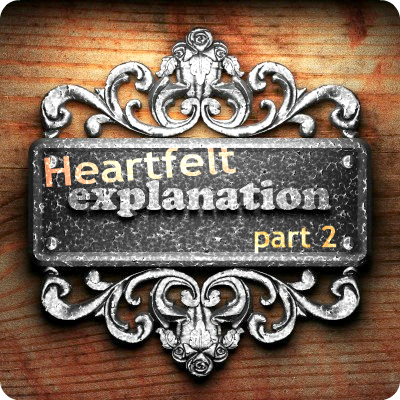 God’s heart revealed, in heartfelt inspired texts, should be felt by the hearts of those hearing it properly presented. There is more to be said, some of which I’ve probably addressed previously. What would you add to this list?